Today marks the one year anniversary of Brownie Box! I still remember how excited I was to write my first blog post about my favorite brownie recipe (I still feel that way before publishing new posts). With 20 posts, 25,715 total blog views, and 227 followers on Facebook, I’m really looking forward to start a new chapter in my “baking diary”. The most popular post this year is the Chocolate Chip Cookies recipe with almost 4,000 views! I want to thank my friends and the amazing baking community for trying out my recipes and encouraging me to keep baking. I also want to thank my wonderful mom who’s always supporting me every step of the way – she’s my number one fan! – perfected a flourless chocolate cake recipe – post coming up soon! 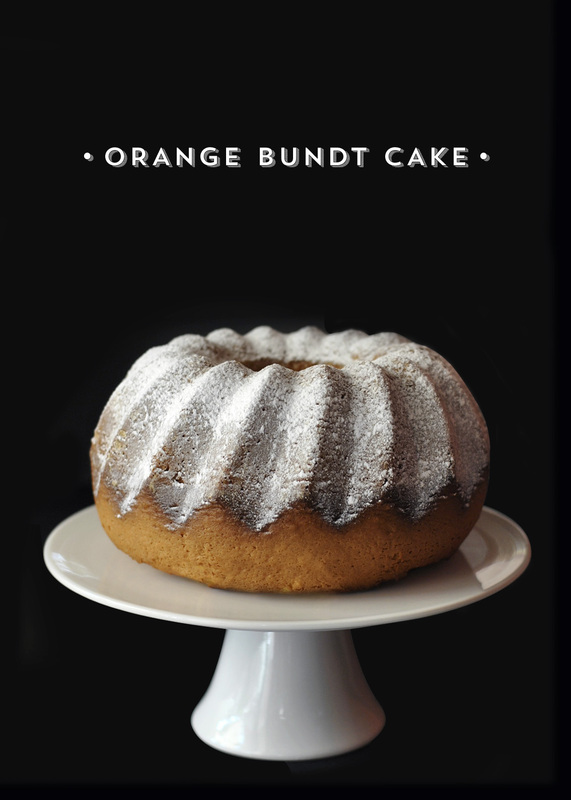 To celebrate this occasion I baked a classic family recipe: orange bundt cake. Sometimes I can’t stand the sight of nutella, cream cheese frosting, or chocolate cupcakes. 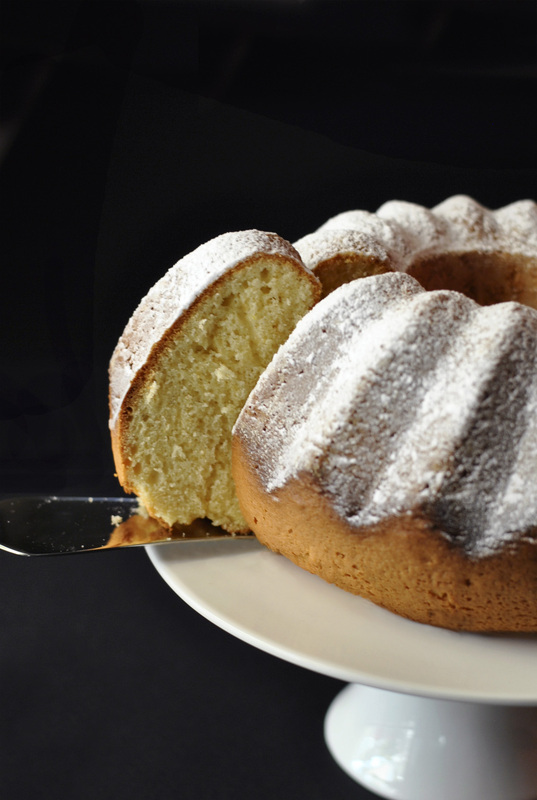 But this cake is so light, moist, and zesty that you never get bored of it and almost always end up having a second or third piece. I also wanted to try out the new bundt cake pan that I bought a few months ago. 2. 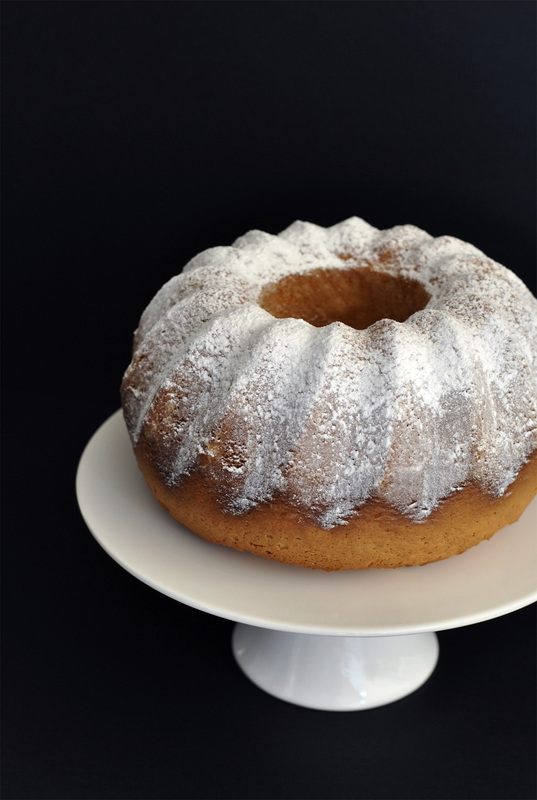 Brush a 24 cm/9 inch bundt cake pan with melted butter and dust it with flour (to prevent the cake from sticking to the pan). 3. In a large bowl, beat the eggs and vanilla with electric mixer on high speed then slowly pour in the granulated sugar. 4. Keep beating for 3-5 minutes until the mixture doubles in volume. 5. Add the orange juice, orange zest, and vegetable oil and mix with spatula until just combined. 6. Sift the flour, baking powder, and salt over the to the egg mixture and mix with spatula until just combined. 7. Pour the batter into the cake pan. 8. Bake for 45 minutes until the top is golden, springy to the touch, and a toothpick inserted comes out clean. 9. Dust cake with powdered sugar before serving.